Put simply, our focus at Moore Chiropractic & Wellness is helping your brain and body to better communicate with each other. The brain tells the body what to do, but when there’s interference in the communication channel, you might end up with pain, discomfort and illness. Dr. Moore removes the interference to help your body heal itself, working the way it was designed to. When you’re expecting, you may find that chiropractic care helps you not only feel better while you’re carrying your baby but can assist in achieving better labor and delivery outcomes. One of our patients saw a chiropractor during her first child with great results. She wasn’t under care during her second pregnancy and had trouble during that time. When her third pregnancy occurred, she came to Dr. Moore for care, and again, had a successful experience. 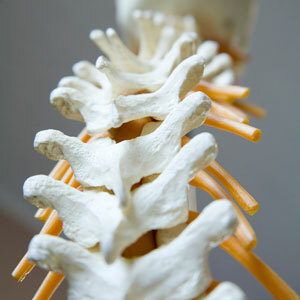 The benefits of chiropractic care are numerous. You might find your body can move more freely, you feel healthier and have greater energy. It’s free from side effects and allows you to live life the way you want to. Symptom relief. We may recommend you see us 2-3 times a week initially. How often you see us depends on your situation and what we feel works best based on our experience. We’ll seek to remove any pain that’s holding you back from living life to the fullest. Correction and rehabilitation. Your symptoms are nearly resolved. We focus on strengthening your problem areas, relieving soreness, stiffness, spasm and helping the overall healing process to continue. Wellness. We recommend that you return to see us periodically, perhaps every 4 or 6 weeks, to avoid aggravations. If you do experience flare-ups, you’ll find they’re not as serious and see quicker results thanks to regular visits. From infants who are days old to older patients who have osteoporosis, our gentle treatments are appropriate for everyone. If you prefer not to hear a noise when you’re adjusted, we can accommodate you. You’ll find your adjustments comfortable, though you may experience some soreness due to the changes we’re making in your body. Additionally, we can fit you for custom-made orthotics from Foot Levelers when your body needs extra support. We are in-network for nearly all insurance and Medicaid plans and accept Medicare. On-site X-rays keep your visits convenient and thorough. Contact us today!